Emily is a scattered child. She loses things all the time and is always late in the morning because she cannot find her books or her gym shoes. Last week, she missed a field trip because she forgot to hand in the permission slip and could not even find it in her locker or backpack. To organize is to arrange possessions, information, or tasks into a structured whole so that the parts are coordinated efficiently. As adults, we use a variety of organizational strategies and tools (e.g., calendars, file cabinets, and computers) to help us schedule and manage tasks and keep track of important information and papers. These techniques help us to accomplish tasks successfully and achieve our goals. As we organize, we also need to prioritize based on our goals and the level of importance of the tasks. For example, we need to select the tasks we will attend to first, as well as the papers we will file and the ones we will discard. We then need to develop a logical sequence for activities. Why Is Organization Important for Academic Performance? Homework: This requires students to write down all assignments correctly, bring home materials needed for their work, complete tasks on time, and remember to submit work. Long-term projects: Students need to keep track of numerous details and to manage multiple elements of their projects simultaneously. Studying: Students need to organize class notes, homework, and other materials to prepare for cumulative tests and quizzes. Writing: Students are required to produce cohesive, integrated, analytical compositions that are well organized and prioritize important details. Why Is Prioritizing Important for Academic Performance? responding to the demands to juggle long-term and short-term tasks day to day. selecting the most important information for note-taking, studying, or writing. managing the competing demands of school, homework, and extracurricular activities without losing track of important deadlines. How Can Parents Help Children to Organize and Prioritize Effectively? Many of the following strategies can help children to succeed with academic and leisure activities and provide a strong foundation for performance during their adult lives. Many parents use a family calendar to record important commitments. Weekly family meetings can help you coordinate everyone’s schedules so that you model good planning and organizational strategies. Help your child to select calendars (paper or electronic) that can be updated with commitments and tasks whenever you update the family calendar. Encourage your child to review these calendars daily to anticipate new events. Encourage your child to schedule enjoyable activities (e.g., time with friends), along with important obligations. Visualizing long-term projects and viewing them as “mental movies” can help children to break complex tasks into manageable chunks. Using a white board or sheet of paper to map tasks into flow-charts is also helpful. Encourage your child to write down important tasks in a calendar and to allocate time accordingly. You can teach your child to estimate the time each task will take and to track the time while working. A kitchen timer is a helpful tool for this purpose. Help your child to generate lists of tasks for homework or chores and to check off their lists as each task is completed. An organized workspace helps children to find the materials they need for homework easily and independently. Storing materials in different sections is always helpful. For example, all writing tools should be located together (e.g., pens, pencils, erasers, markers) as should all papers (e.g., blank, ruled, graph). Keep reference materials, including calculators, dictionaries, and atlases, close to your child’s homework workspace. Help your child to identify a regular time during the week for clearing out and organizing his or her backpack. Work together to make this a pleasant experience so that it becomes a habit! Encourage your child to use a brightly colored pocket folder to transport important papers (e.g., homework, permission slips) to and from school so that homework does not get lost. Help your child to prioritize homework tasks based on due dates, difficulty level or the level of stress he or she is experiencing with the task. Encourage your child to list the steps needed to complete long-term projects. Help your child to sequence tasks logically. For instance, before looking up vocabulary words in the dictionary, he or she should alphabetize the list first! Teach your child to scan homework and gather materials before starting work so that everything is collected in advance. Store the most commonly used items within easy reach in accessible locations. A common complaint of many children is that they don’t have time to do the things they want to do because they have so much homework! Children can achieve balance in their lives by prioritizing tasks and using strategies to organize time and materials. These strategies can also help to reduce the pressure that students feel due to the volume and pace of their schoolwork in combination with their busy, active lives. Strategies for success: Classroom teaching techniques for students with learning differences (2nd ed.) by Lynn Meltzer, Bethany Roditi, Joan Steinberg, et al. Lynn Meltzer Ph.D., is president of Research Institute for Learning and Development (ResearchILD) and Director of Assessment at the Institute for Learning and Development. She holds appointments at the Harvard Graduate School of Education and Tufts University. 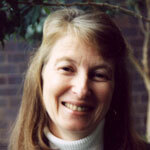 She is also a fellow and past-president of the prestigious International Academy for Research in Learning Disabilities. Her work includes numerous articles and books for professionals and parents with an emphasis on assessing and teaching executive function strategies.